Boston Red Socks Cake, a photo by CAKE Amsterdam - Cakes by ZOBOT on Flickr. 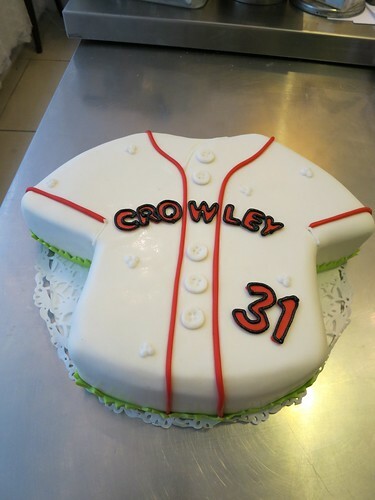 Boston Red Socks Jersey Birthday Cake. FLAVOR : Vanilla Cake with Chocolate Ganache and Raspberries!